Hence, it can get crowded. You may even be so unlucky that you lose out on the chances of getting a permit. But, don't be discouraged! Take this as a good reason to keep trying to cross this trek off your bucket list because it's deemed to be one of the best for a reason. I organized a group of 30 people to do the classic Inca Trail years back. Even to this day, we still reminisce about the experience. Upon reflecting on our journey, we can't help but feel the same joy we felt while on the trail. 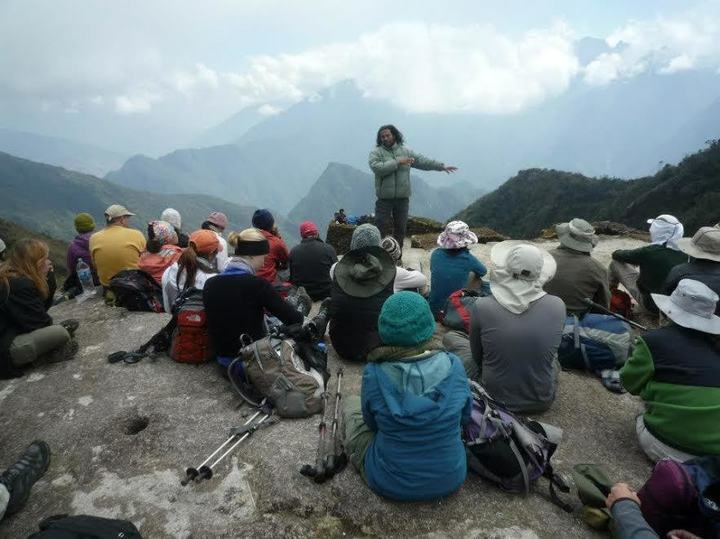 The Classic Inca Trail trek is undoubtedly one of the most unforgettable adventures of our lives. 1. It's a short trek - only 4 days. Let's start with the obvious. The Inca Trail trek is in essence akin to a long weekend backpacking trip. You wake up early on the first day so you can get to the trail head just after the sunrise and start walking on the same day. On the last day, you wake up early before sunrise to hike to the much awaited highlight of the trek - Machu Picchu. The trail itself is only 26 miles long. Hence, a traveler can easily add this trek to his or her itinerary without using up too many days to do so. 2. It's not so high. Although it's deemed as a high altitude trek, the highest point is only 13, 828 feet. It's high enough to feel the altitude but low enough to comfortably trudge on without much of an issue. In fact, my group of 30 consisted of ages ranging from 20s to 60s. All of us made it to the highest point with no problem. Of course, you would need to consult with your doctor to make sure there are no pre-existing conditions that would render you unsuitable for high altitude trekking. For more on how to prepare for high altitude trekking, read THIS. 3. It's trekking with a day pack. One of the key factors as to why this trek is easier than most is the fact that you can hike the entire trail with a small daypack to carry only your day hiking essentials. A lighter weight on your back means a much more comfortable walking experience. At the same time, this trek has been instrumental in the tourism industry in the Cusco region of Peru, no doubt. The trek has created jobs for the locals who are hired as porters to carry all your personal belongings. Typically, you can share the cost of hiring one porter or you can have one porter be assigned only to you. Usually, people share porter services as each hiker is allowed to hand over 15-20 pound of items. With it being only 4 days, you can easily minimize the weight to under 15 pounds. As a side note, it's always appreciated when hikers are mindful of the weight they give to the porters to carry so avoid that urge to overpack. 4. It's a luxury vacation on the trail. 5. It's an easy and well-marked path. The trail is well-maintained and closed part of the year for the purposes of cleaning and overseeing the trail. There's nothing technical about it; nor is there scrambling or any tricky parts to the trail except for some sections that may be rockier than others. In addition, there's no concern about getting lost on the Inca Trail. Even if you do find solitude along the way (which can happen most definitely), you don't need to panic and worry about getting lost. You're far from being off the beaten path. It's a well-trodden trail that even trying to get deliberately lost would be a challenge. Don't even try. 6. The weather conditions are typically pleasant. Unless you go during the rainy season, this is a trek that poses no concerns regarding any kind of extreme weather. The area may be prone to rain, but even so, the rain typically doesn't last long and the amount is rather minimal. At night, it can get chilly but it'll never be below freezing. This means there's no need for you to buy an expensive high quality sleeping bag. Most decent sleeping bags will do and oftentimes travelers rent the bags from the tour company, which is the more reason why the trek attracts crowds. The tour company can essentially supply you all the gear that you need. 7. Machu Picchu is at the end of it. Obviously, this is the top reason why Inca Trail is on everyone's bucket list. Having been there myself, I can confirm that the majestic nature of this site DOES live up to its reputation. DON'T MISS IT. That's all I have to say. 8. You can dip into a hot spring as a reward. Aguas Caliente, the hot spring and the town with the same name are both amazing treats to hikers. Who can resist the idea of trekking for 4 days and ending the journey with a dip in a hot spring? Plus, the town of Aguas Caliente is full of restaurants and shopping opportunities that attract the tourist side to those who hike the trail. It also serves as a quick immersion back to civilization. For full immersion after the trek, you return to Cusco in the evening on the fourth day - a highlight in, and of, itself. 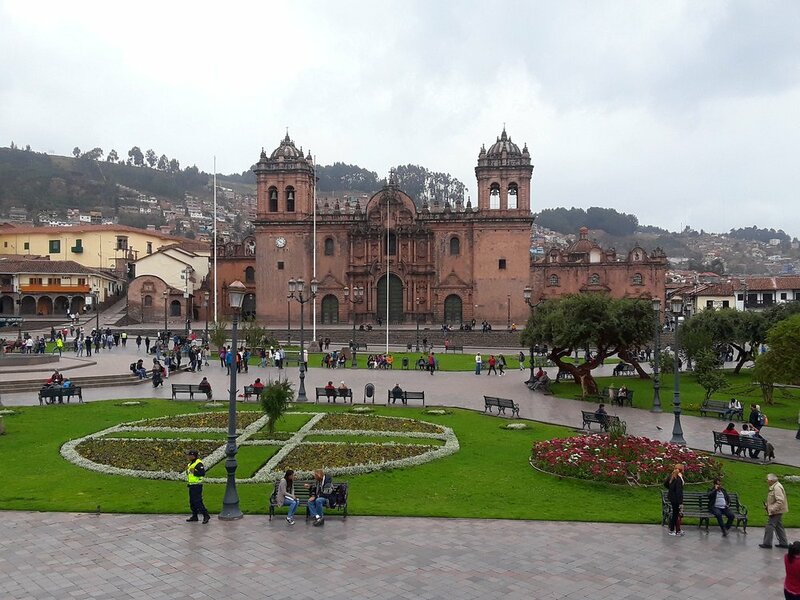 Cusco is one of the most beautiful colonial towns in South America with such a warm and welcoming atmosphere to tourists of all kinds. There are plenty of restaurants for the hungry hikers of the Inca Trail where you can indulge in local delicacies before heading back home. As an aside, souvenir shopping can be had in every corner of the town. Not a bad place to end your trek. Let's not forget one other good reason for the popularity of this trek - the reasonable flight costs, especially from the U.S. If you wish to be creative and are willing to sacrifice time and sleep, it's possible to book a $200-300 flight round-trip from the U.S. Be prepared, however, to deal with long and multiple layovers to get to Lima and back. Otherwise, on average, the flights can go anywhere from $650-850. 11. You can get by without speaking Spanish. 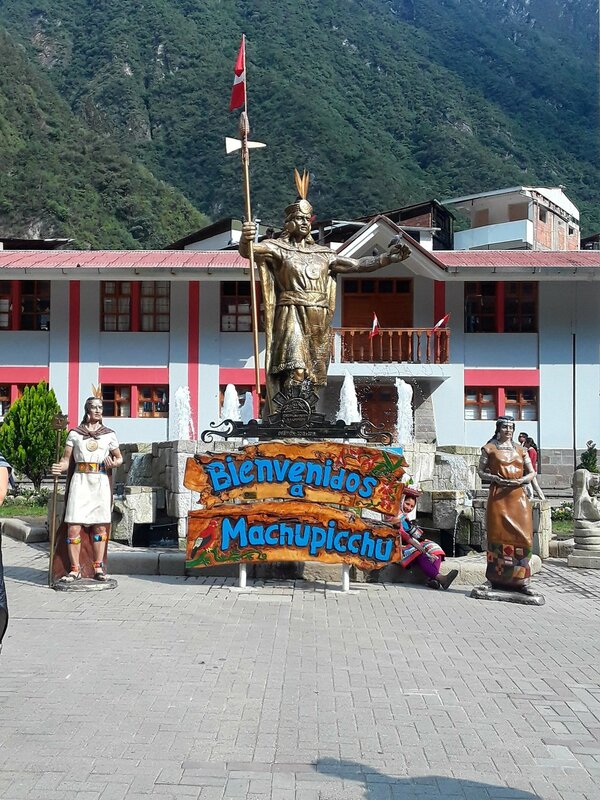 Finally, you don't need to be fluent in Spanish to survive the experience, both on and off the Inca Trail. English-speaking locals are common in Lima and Cusco. Once on the trail, you'll be with an English-speaking tour guide and TONS of English-speaking hikers. There's plenty of English to be spoken on this kind of trip so don't even spend a second worrying about language barriers. Having said that, it would serve you well to learn some Spanish before the trip and practice it when you get there. Locals always appreciate the effort. In summary, the trek is an ideal experience for all levels of hikers, even those who are new to multi-day trekking and high altitude. As a bonus, it's also a great introduction to other cultures for those who are first-timers to overseas traveling. The culture shock is minimal which renders the entire experience pleasurable. Go follow the crowd! Seriously, you should. I did with 30 people and to this day it's still the best NON-off the beaten path experience I ever had. Just check out the photos and decide for yourself. As a side note, you can join Brown Gal Trekker's trekking groups in 2018. learn more HERE.